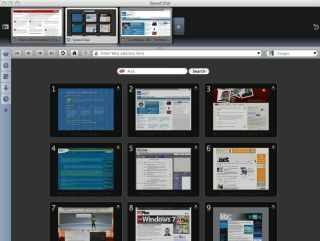 Opera 10 was downloaded 10 million times in the first week of its release, breaking the company's download record for the popular browser. The latest browser from Opera has been well received, bringing with it the Opera Turbo technology to make websites load faster when the connection is not great. 10 million downloads in the first week may not be in the league of Mozilla's Firefox browser, which has a huge market share, but CEO Jon von Tetzchner is delighted with the growth. "While we have consistently grown in our download rates with each consecutive launch, Opera 10 has far exceeded any previous record we had," said von Tetzchner. "To us, this means that Opera 10 delivers a more compelling reason to choose Opera, and that reason is Opera Turbo. "The concept of turbo browsing was the result of our One web initiative, as our goal is to ensure that Web browsing is fast, efficient and universal, anytime, anywhere."